"You're so predictable!" When a partner in a relationship tells you that, the writing is on the wall. You'd better start packing your bags. And clear out. Dull, boring, predictable, you don't want to go through life like that, do you? 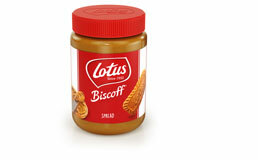 Essential for the brand Lotus Bakeries, is the specific red of their logo. Our specific approach to colour ensures that - no matter what the chosen production method - that red looks exactly the same everywhere. Cardboard, paper, shrink foil, ... PPC charts the colour requirements of these carriers and adjusts the production files to them. In this way we can ensure colour uniformity. Then we also check the (colour) uniformity within the different product groups. With Process Gearbox, the online process management system of PPC, Lotus Bakeries checks all packaging workflows. We make them transparent and traceable at all times. Such a centralised and fully automated project and process management system reduces costs, shortens the amount of time spent on it and increases efficiency. Predictability does not have to be boring; we predicted that, didn't we?